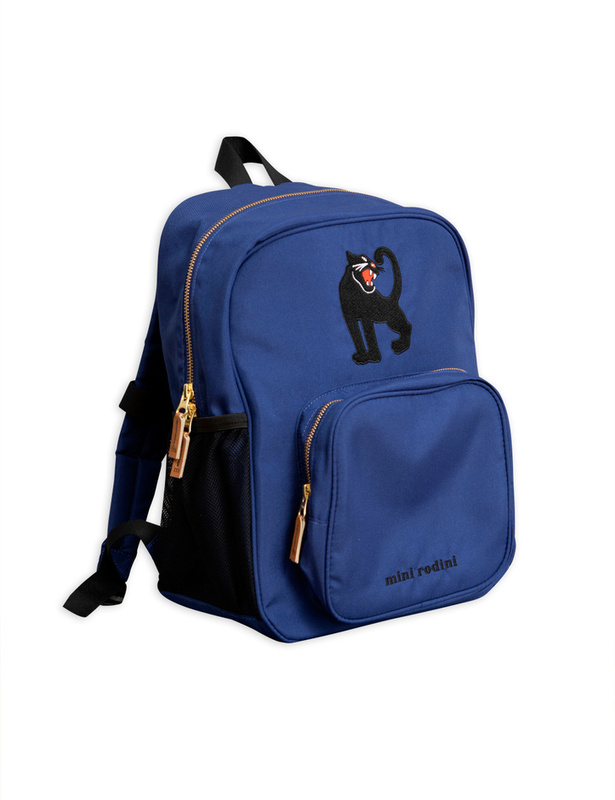 Dark blue backpack in a slightly bigger model than the classic Panda Backpack. 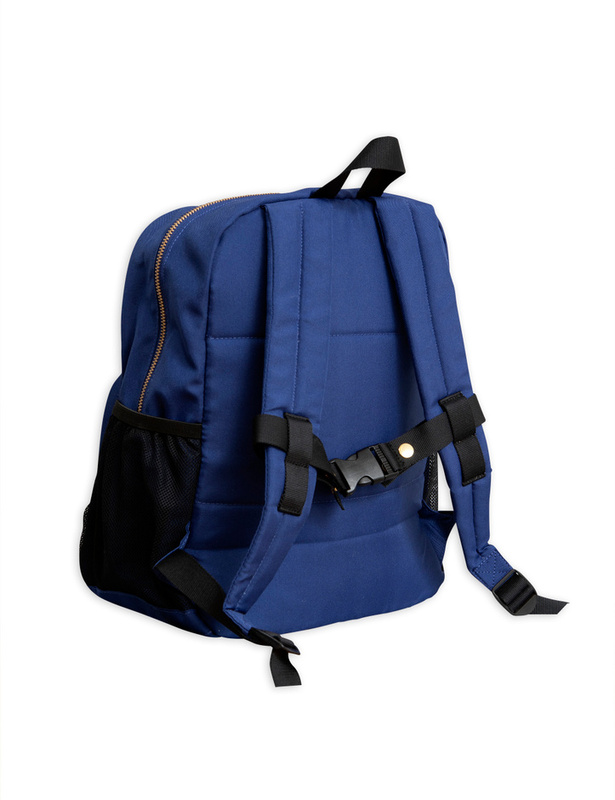 Made from durable 100 % recycled polyester, it is ideal for school, practice and excursions. The backpack is equipped with smart details, such as elastic mesh pockets on the sides and a sternum strap that provides support for the rest of the body and eases the pressure on the shoulders. Accented with an embroidered panther patch at front.